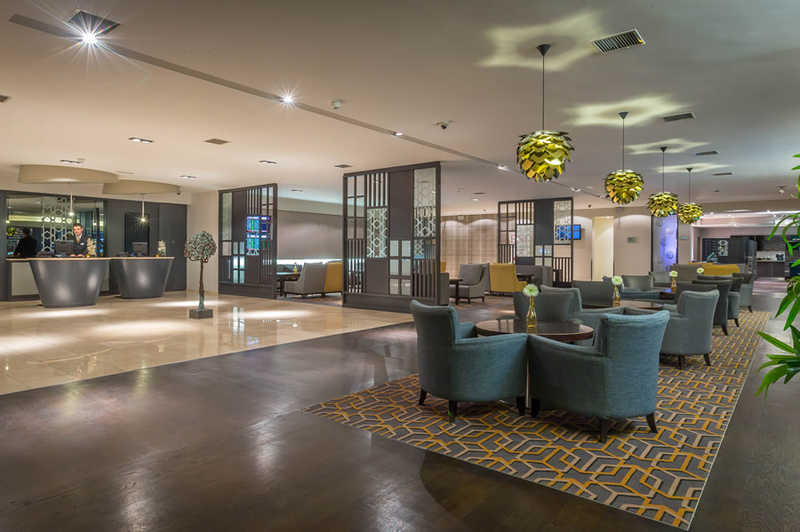 The Maldron Hotel Dublin Airport located in Dublin Airport complex is only 3 minutes from the Airport Terminal. The hotel provides a complimentary 24 hour hotel shuttle to & from the Airport Terminal for all our hotel guests. PLEASE NOTE. ALL DINNER OFFER PACKAGES ARE SERVED IN OUR VERTIGO BAR. Service- excellent! Happy New Year! Thank you so much! Lovely hotel, excellent location, lovely friendly professional staff. Rooms were great, good size and very clean and comfortable. Food was fabulous. Highly recommend this hotel. Lovely hotel. Very convenient. Very pleasant staff. Extraordinary friendly and helpful staff at the reception. Room clean and spacious. Reliable shuttle bus to the nearby airport. Room small but very comfortable. Breakfast was lovely too. Only downside was the fact there was no lift down to our room so we had to carry our luggage down two flights of stairs. Other than that it was a very comfortable stay. excelent stay. staff very friendly and couldnt have been more helpful. On arrival the hotel did not appear to have two rooms booked, we had reserved a family room and a twin room, fortunately we didn't require the family room, a double room sufficed, it took some time to sort out. Otherwise the hotel was fine even while under refurbishment, clean and comfortable. Breakfast was ok but there were no Danish pastries or croissants available, as stated on the menu. My daughter and I were very happy with our stay at the Maldron. The staff were very welcoming. Room was clean. Shower worked well. Breakfast was very good and again served by very friendly staff. We used the express checkout as we had settled our bill on arrival. The shuttle bus dropped us off at our terminal for our flight. All at great value. 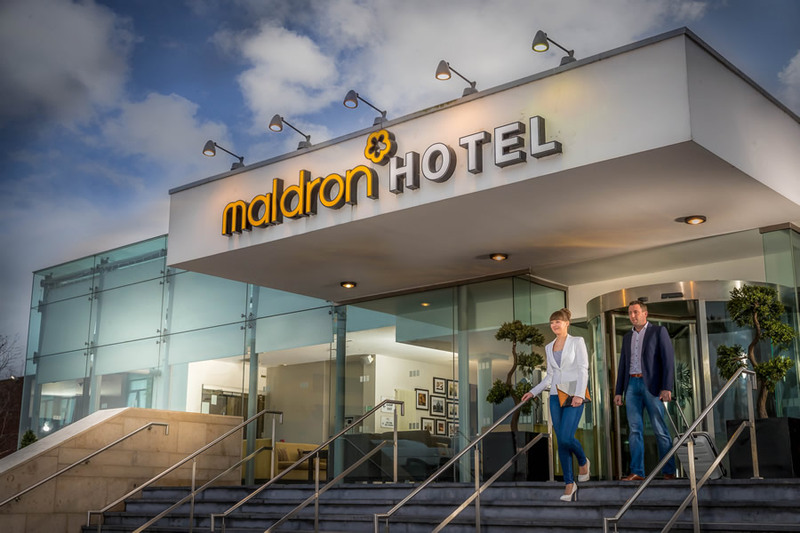 For airport convenience, friendly staff and delicious breakfast you wont beat The Maldron Hotel, Dublin airport. Mary Costello 5 Star. Nice clean and very comfortable hotel. Staff all very helpful. Very convenient for an early flight. Good price and a carry out breakfast available for those checking out early. Recommend to friends. I could not fault it for the money that we paid. The beds were comfortable and the room was clean. The staff were friendly. I didn't think the food was that great and a little over priced but can't really complain much given the bed and breakfast rate. very comfortable hotel. lovely room but had to carry cases up small staircase lift only for use by staff. No problem for the young or fit. Check in can be very busy when only 2 staff on the desk. Helpful friendly staff. Would recommend hotel . 3 star rating. The staff and the food were the best thing about this hotel. Staff were absolutely lovely in both the bar and the restaurant and the food was beautiful and really well presented. The rooms however were not so nice. They didn't seem that clean and they were dark and dreary. Bed was very uncomfortable and the room was stifling during the night. I had a very bad night's sleep. No lift to our room also so we had to carry luggage up flights of stairs. I would not stay at this hotel again but I would definately eat at the restaurant or bar as they were lovely. 5 stars for restaurant and bar but only 3 stars for the hotel unfortunately. No lift which is strange in an airport hotel where people would have heavy luggage. Signage not great around the hotel for room numbers or where reception is. Breakfast was ok but food left on the heat which left it overcooked. Especially the eggs and bacon. Parking is pricey. Great location for airport. Comfortable Room. Good breakfast. 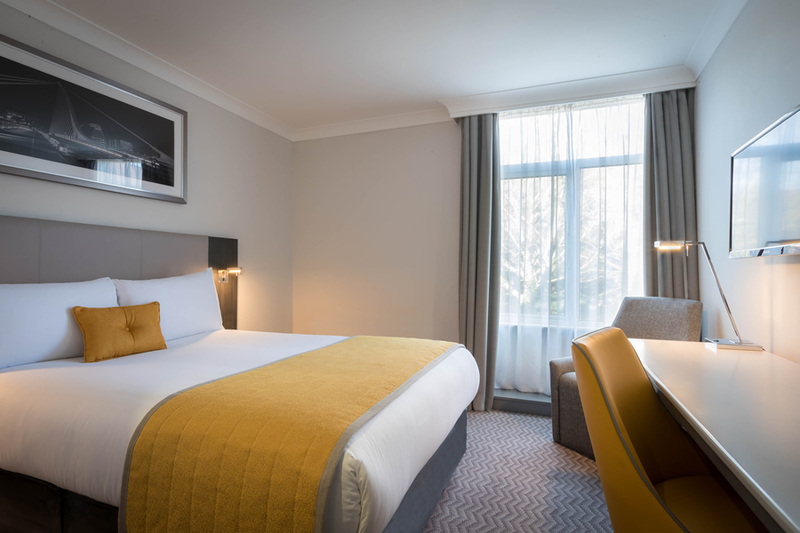 Thankyou for our pleasant stay,the staff were very helpful and food very good,we would stay here again..
very affordable, efficient, clean and friendly with good food. Had three children with us and everything went very well. Clean and comfortable, perfect location 3 minutes walk to terminal 2 at Dublin airport. Food and drinks in hotel bar over priced otherwise no complaints. Great hotel, nice and quiet, delicious evening meal and breakfast wonderful, walk to airport from hotel was very convenient, staff very nice and friendly, will definite stay again, Angela Kearney. Nice Hotel,close the Airport! Diffrent Asian Restaurant, nice food. i found the hotel, to be very clean, staff very polite, rooms were spacious, plenty clean towels, ideal the room has a fridge, the vending machines down stairs had everything from drinks to food, toothbrushes, travel plugs etc. the breakfasts had wide variety for everyone. ideal location next to airport but also ideal its close to town. the only issue i found was their was no lift in the hotel. would recommend the hotel to others defently and will stay again myself. Nice hotel for late arrivals or early departures from Dub. Staff was good, restaurant was ok, nothing special. A bit overpriced if not on offer. The room was good, asked for a cot bed but never arrived. All in all, a decent hotel. Stayed here 21/02/13. First the room key would not work so I had to go back to reception to get it activated, we opened the door to a tiny room with twin beds pushed together and no space at all.I rang down reception to complain and fair enough they did change us then to a perfectly fine room. When I said at reception third time lucky they did say sorry then but only after a prompt. Everything else was positive. The staff in the restaurant were very nice and friendly and the food was good. Very nice bed in room and no fault with breakfast. One small point it didn't matter but it is not a courtesy bus to the airport.The fare is €1.00 each return.All in all we enjoyed it and would stay again, very good location. Very good overall Rooms need a bit of updating Sushi Salmon was not fresh. Staff friendly and helpfull Was woken up at 4am by drunk idot knocking on all the doors but that not the hotels fault. Shower was amazing !! Excellent food, friendly staff and efficiency throughout. handy not only 4 airport but aircoach takes u straight to 02 arena far cheaper than taxi. Excellent value for money and very convenient for the Airport. Hotel ticked all the boxes, very friendly staff who were very easy to deal with, room was grand, breakfast was lovely. Not much more to say really, would go back again. Great. Walked to and from airport. So convenient. Clean, quite and reasonable food, what more does anyone need in an airport hotel.